Seats up to 30 people, tables and chairs can be arranged to suit your needs. The light and airy room overlooks our award-winning therapeutic garden and has direct access. 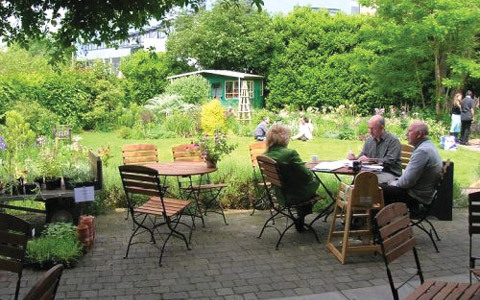 The Garden Café can cater for 35 covers (inside) and a further 20 covers in the summer (outside). Please note, the kitchen area is not available for use. Hourly rates: £20 weekdays, £22.5 weekends (not available Monday – Friday daytime until 5:30pm).